Oshun Organics was created as a way to pay homage to the vibrant and eclectic culture that is OUR world. A dedication to those who enjoy expanding their knowledge of nature and divinity. Oshun Organics is dedicated to providing you with uniquely-crafted and quality products, that speak to the free-spirit in you. 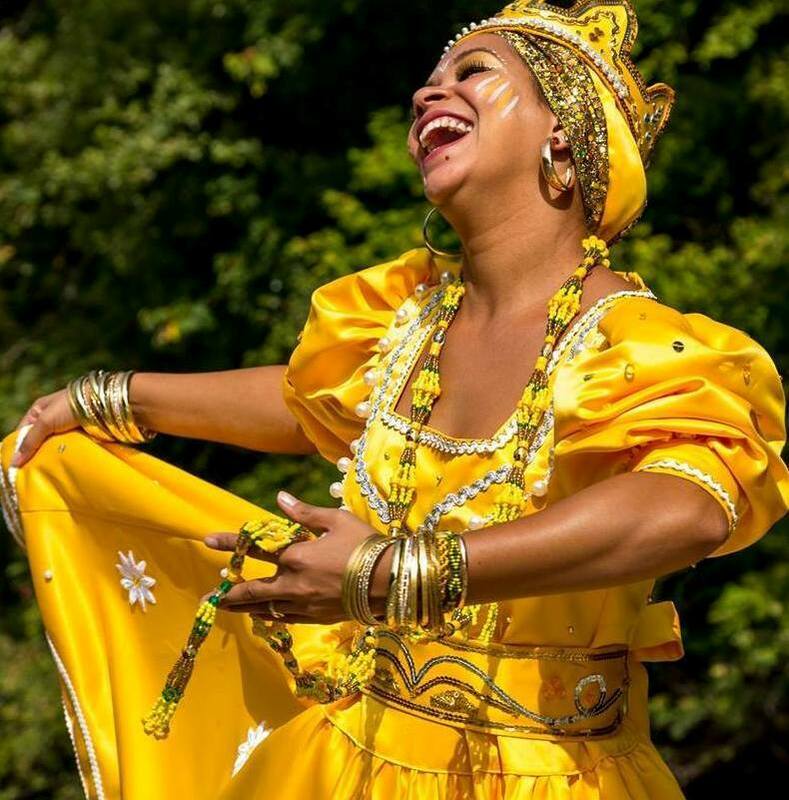 The name Oshun originates from the Yoruba and Ifa religions. Oshun is an orisha, a spirit or deity. Located in the Southern region of West Africa in Angola, there lived a culture of people known as Yoruba. These people were united by a shared geography, history, religion and language. From the late 1500's to the late 1800's, millions of Yoruba people were forcibly removed from their home and taken to areas of the Caribbean and North America. During these centuries of slavery, the Yoruba people were forced to practice the religion of their captors. Despite being so far away from the comfort of their homes they risked their safety and continued to strive to carry out their native forms of worship by disguising them under Catholicism and Protestantism believes. The modern day Yoruba religion combines beliefs from original Yoruba speaking peoples of West and Central Africa, and it includes with elements of Catholicism, Anglicanism, Christianity and Hinduism, as well as subtle Kabbalistic influences. Basic Yoruba belief involves ritual practices such as: singing, dancing, drumming, spirit possession, ritual healing, respect for divination and ancestors. These ritual healing beliefs involve with use of Botanicals, Herbs, Crystals and many other physical manifestations of Mother Earth. One of the most common Yoruba traditional religious concepts has been the concept of Orishas. Orishas are various godly forms, that reflect the various manifestations / avatars of Gods or Goddesses in the Yoruba spiritual or religious system. The encompassing nature of Yoruba culture, is the pillar of what makes our brand unique. Inspired by culture, our mission is to provide education regarding to beliefs of all people. This includes Yoruba culture and the other cultures that have entwined together during the Diaspora of people. Our products are named in other languages such as Yoruba and Igbo, after Crystals and herbs which many believe harness healing powers and a slew of other culturally relevant artifacts and practices. We encourage our consumers, collaborators and Brand affiliates to educate themselves about culture and consciousness every chance we get. We strive to integrate social, ethical and environmental performance factors into the process of selecting each and every one of our suppliers and supplies. We are always seeking out reputable supply companies, that can verify where each raw, plant-based ingredient comes from and how it is extracted from its source. We also strive to make minimal use of any plant-based ingredients, by only formulating our products to include necessary and effective ingredients, and by keeping fillers and inactive ingredients to a minimum. Our goal is to provide customers with products that ultimately have a minimal effect on the demand of natural resources in our ecosystem. We also wish to promote the use of Fair Trade practices, such as local production and sourcing of materials. The highlight of our product line is our Organic and Unrefined Shea Butter. 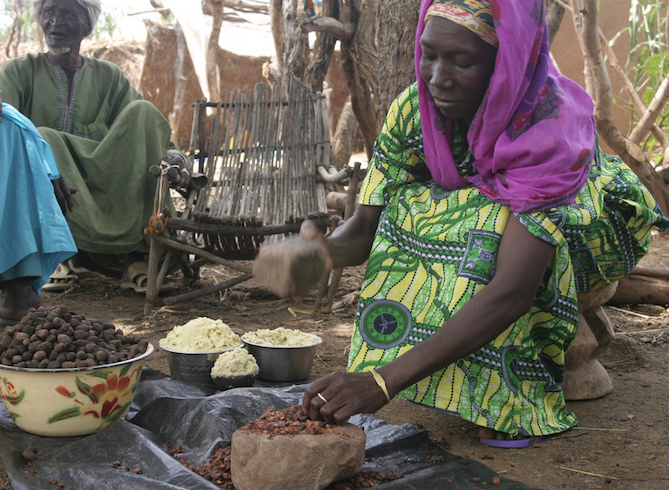 We source Grade A Shea Butter from Ghana, which helps to support their local economy. It is the most beautiful Ivory Shea, with a sweet-earthen fragrance. If you should happen to purchased on of our unscented products, chances are you'll smell subtle hints of that remarkable Shea Butter. We also source sustainable and fair-trade Coconut Oil. Even though, we work really hard to make sure we only utilize ethically sourced, local and Fair Trade ingredients, it is not always possible. We are an Indie Brand, with a finite amount of resources. This is why its so important for consumers to Shop Local, and support Small Businesses. Purchasing from Small Businesses allows for an increase in the demand of long term, sustainable sourcing of materials and fair trade practices such as hiring local and providing fair wages. If you should ever have any concerns regarding how we procure any of our raw materials, please feel free to contact us. We try our best to be as transparent as possible, and would love the opportunity to speak with our customers. When you unwrap your handcrafted soap, don't forget to save the wrapper! Each paper soap band is made from seeded Lotka paper, which will bloom into beautiful wildflowers when planted. We find it helpful to germinate the seeds first, by dampening two sheets of paper towel and placing the paper in-between. Try setting it on a plate, near a sunny window. Once your paper spouts seeds, place it on a flower pot or in your and cover with not more than 1/8 inches of soil. Water as needed. Lotka paper is handmade from the bark of the Daphne bush which regenerates naturally, providing a valuable and renewable resource. Each paper contains seeds of Coreopsis and Sweet Alyssum. Please recycle our soap box (and jars) in an appropriate receptacle. Be the first to know about sales and updates!